Fredricks Communications had the honor of helping to “Bring America’s Navy Home” for Fargo Navy Week, Aug. 8-14, 2011. As the In-City Planner for Fargo Navy Week, I assisted FleishmanHillard, Boston, the lead agency on the project, in working with the Navy Office of Community Outreach in setting up and coordinating a wide range of community events, meetings and media opportunities. Navy Weeks, held in select communities each year, are intended to showcase the investment Americans have made in their Navy and increase awareness in cities that do not have a significant Navy presence. The theme for 2011 Navy Weeks was “Bringing America’s Navy Home,” and Fargo was one of only 21 metropolitan areas around the country selected to host a Navy Week during the year. 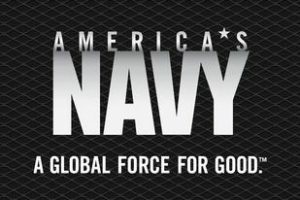 I coordinated or helped set up close to 60 events for Fargo Navy Week, including meetings for a Navy admiral with educational, civic and business leaders, veterans and other groups; media interviews; and philanthropic/volunteer opportunities for sailors. I also created and distributed materials to the local media, including daily updates of activities. By the end of Fargo Navy Week, the Navy had garnered more than 2.2 million in-person and media-facilitated impressions for its key messages in the Fargo-Moorhead media market. Comparatively, Fargo Navy Week resulted in more impressions than Navy Weeks in much larger designated market areas such as Austin, Texas (1.1 million) and New Orleans (1.2 million). FleishmanHillard and the Navy were both pleased with my work, and FleishmanHillard invited me to do it all again two years later.